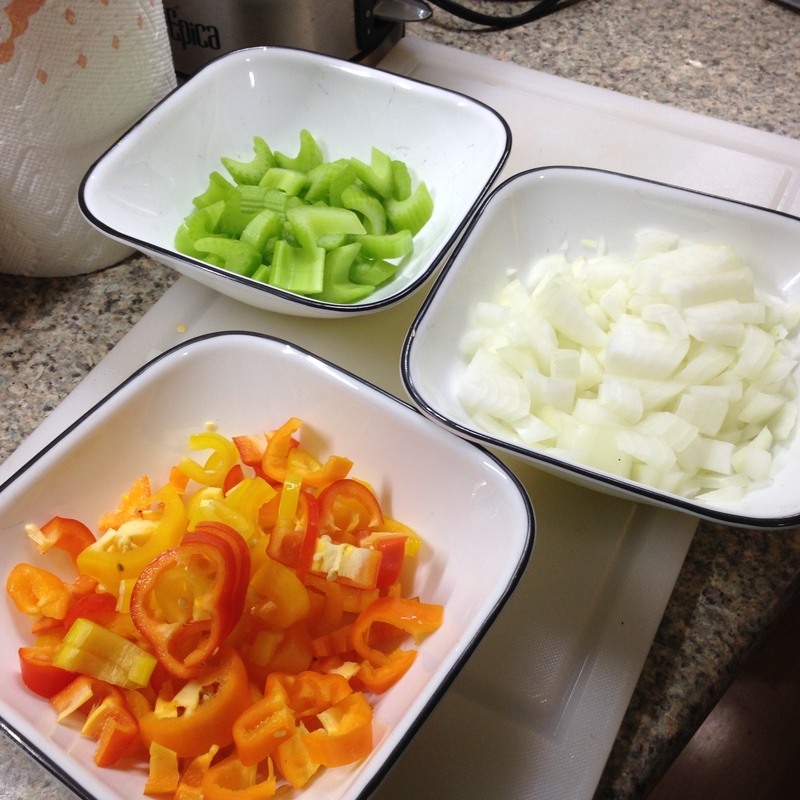 Oh My Melon II: Fry by Night | Food It Yourself! It is watermelon season. Watermelon is really yummy. We have established this. The rind of a watermelon is edible. This I am experimenting with. 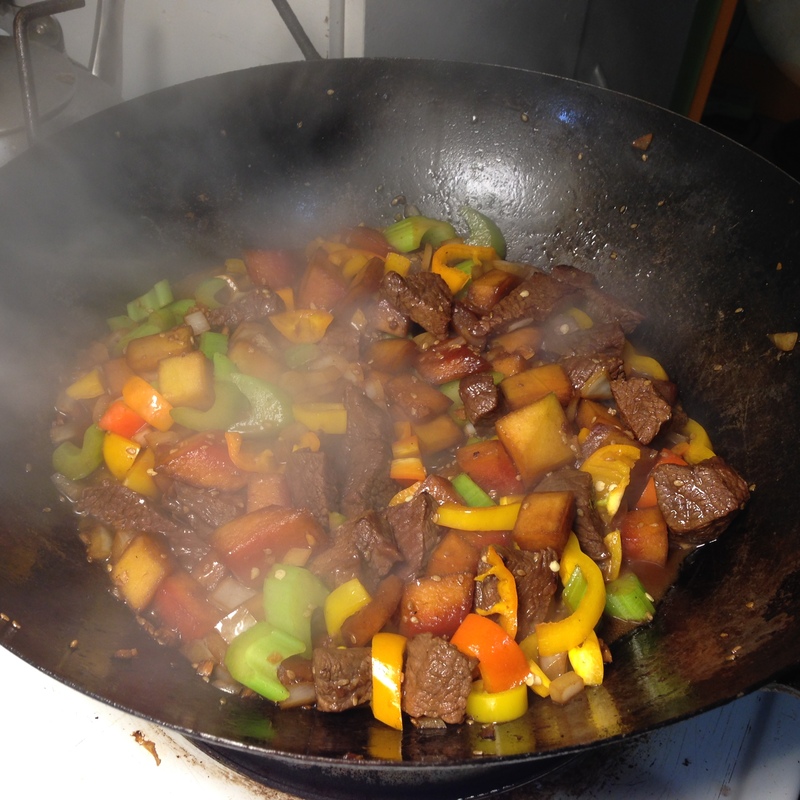 Using melon rind in a stir-fry is not uncommon in Asian cookery, it seems. 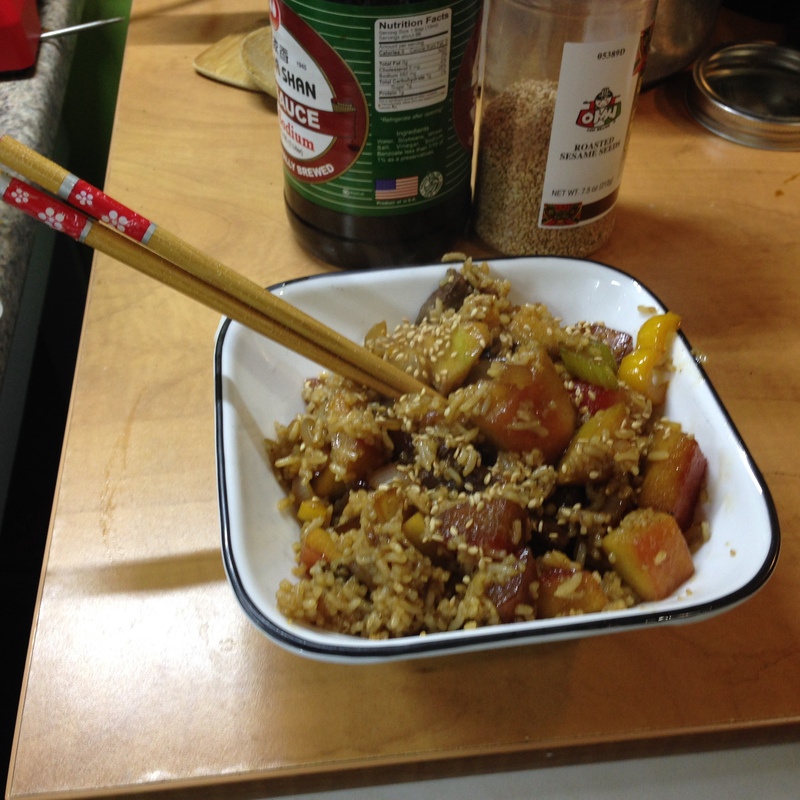 Chinese food blogger Grace Young has a beautiful and culturally enlightening post about it. I also found this simple recipe on AllRecipes. Here is a more complex recipe from Washoku, a Japanese food and cooking site. What I learned from these and other parts of the interweb is that watermelon rind is similar to zucchini in that it has a mild flavor and can be seasoned however you like. After gaining cooperation from Mr. Food It Yourself (he is a self-taught wok star), I embarked on a culinary adventure: watermelon rind fried rice. Step 1: Peel and chop a knob of ginger and five decent sized cloves of garlic. Mix 1/2 cup each soy and teriyaki sauces, 1/4 cup Shanxi (Chinese black) vinegar, 1/4 cup ketchup and 1/4 cup toasted sesame oil. Put the melon rind in a zippy bag, add the marinade, and carefully smoosh it all around to coat evenly. Stash in the fridge for a bit. I let it go about four hours. 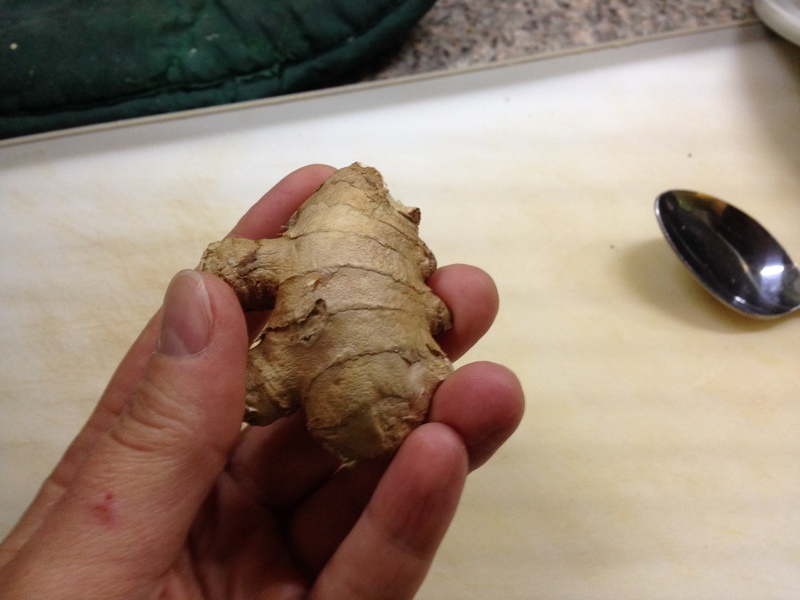 This is a ginger knob. Scrape the skin away with a spoon then mince it fine. If you do this after mincing the garlic your hands will smell much better. 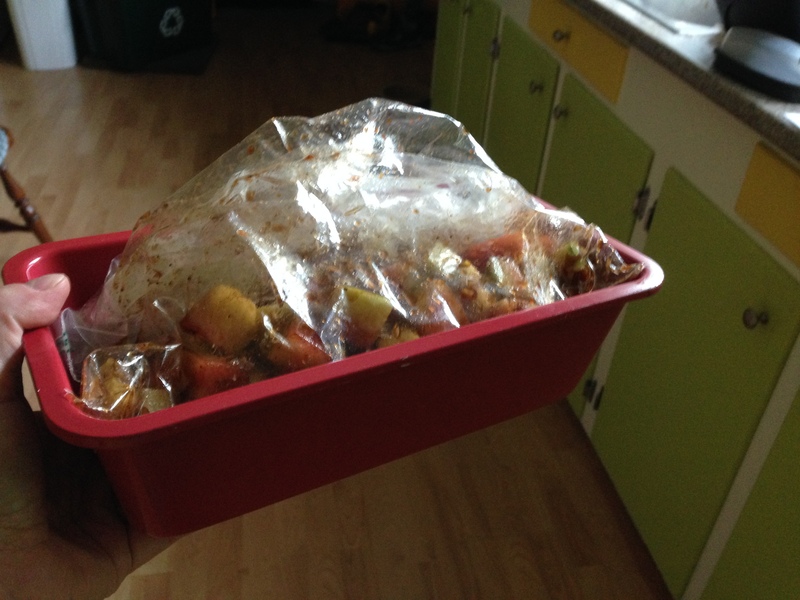 Put the bag in something rigid before tucking it in the fridge. A loaf pan works perfectly. Step 2: Make some rice. I used a rice cooker, that is not the important part. The important part is to let the cooked rice cool before you attempt to fry. At least, that’s what Mr. Food It Yourself tells me. Step 3: Get it together. Chop your veggies before you heat up the pan. Real wok cooking goes fast. You will not have time to fuss over peeling an onion before your oil starts smoking. Not shown here is some stew beef marinated in a little soy sauce. We added that, too. 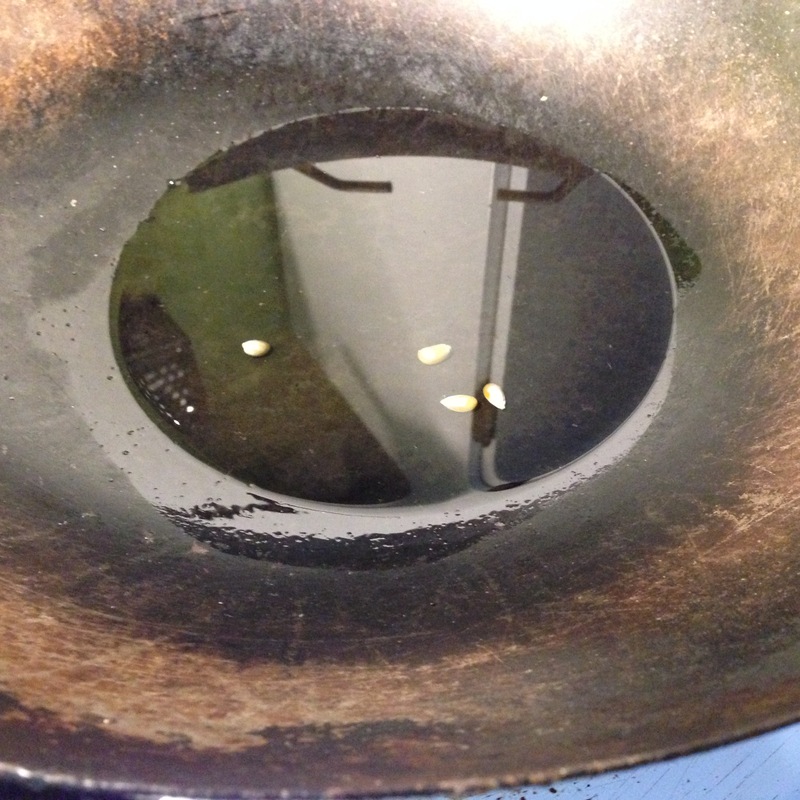 Step 4: Heat your oil in the wok. The oil has to be very hot before you add any food. Also, make sure you use an oil that can take a lot of heat. We use rice bran or grape seed oil. Peanut oil is great for this but it will kill me. Mr. Food It Yourself adds a few popcorn kernels to the oil; when they pop it is hot enough to cook. Step 5: Get cooking. Mr. Food It Yourself cooked the beef until it was almost done Then, he added the veggies and the melon rind. (I drained the marinade off the rind first.) At high temperatures those veggies only take a minute or two. Finally, the cooked rice was added. Here is everything except the rice. See how pretty? I added a sprinkle of sesame seed for garnish. Presentation is important. ← Oh My Melon 1: Cut That Up! You had me at shanxi vinegar – it is my absolute FAVORITE ingredient right now, and I’m trying it in pretty much anything. So! Good! Pingback: Live! From the Stock Pot List: Kimchi (or Kimchee) | Food It Yourself!